We have heard of inseparable bonds between lovers, friends and family. It is natural to love your own, after all. We’ve also heard of animal bonds — dogs, penguins, birds and dolphins are known to hold long relationships that can last a lifetime. And we have also heard of human and animal friendships as well. Ever since humans have learned to domesticate animals during the Stone Age, we have kept them as loyal companions and helpers. Strong human and animal bonds have a mutually beneficial & dynamic relationship between the people and the animals, improving the health and the well being of both. Here are the 10 most awesome human and animal friendships. Friends Ace Berg and John Rendall bought a 35 lb. lion cub at Harrods in 1969. They called the cub ‘Christian’, but within one year they face a problem: Christian was getting too big to keep. 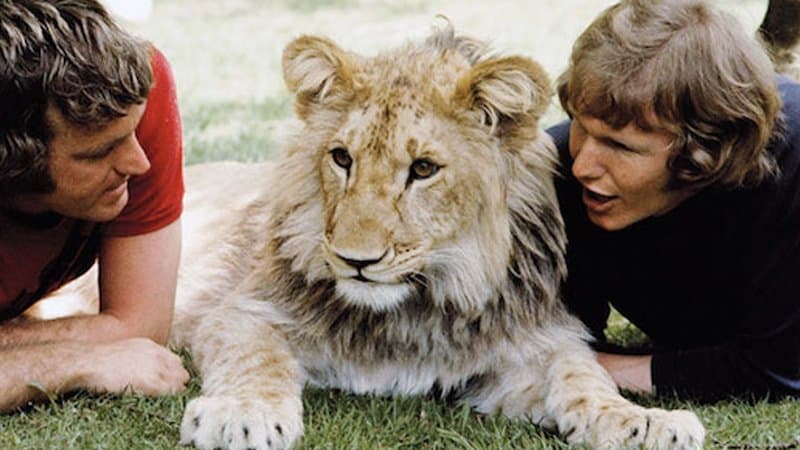 They knew sooner or later that they couldn’t keep him any longer and they had to send their pet away to Africa where the cub was rehabilitated before being released to the wild. A few years later, the two decided to visit their friend in Africa. They were warned that the odds of finding him, lest of Christian still recognizing them, are slim. Yet, they still decided to make the trip. When they arrived, they received a heartwarming welcome from their old friend, who now has his own pride. He still perfectly recognized his human buddies and gave them a big hug. Gabi Mann is an eight-year-old kid from Seattle, Washington. She started befriending crows that visited her home by feeding them. 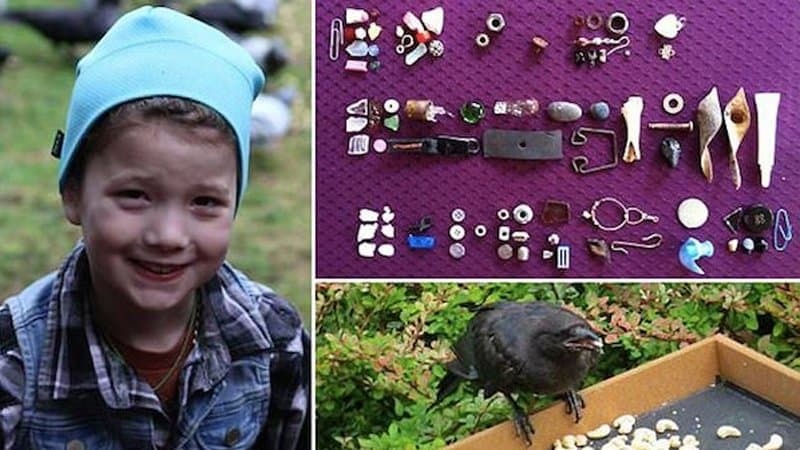 Soon the crows would bring her gifts, such as beads, buttons, metal pieces and other kinds of small trinkets. Gabi says she keeps all the presents she received in labeled pots. How sweet! 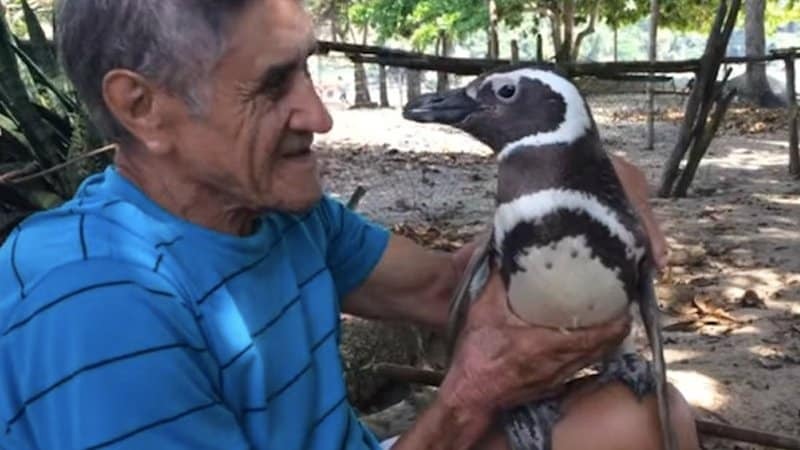 Joao de Souza is a 71-year-old widower from Brazil who found a poor penguin washed up on a beach, covered in oil and fighting for life. The old man washed, fed and nursed the penguin before trying to release it. However, the penguin wouldn’t leave his side. Jingjing, as what the penguin is now called by the locals, follows Joao wherever he goes in the village. The two spend time together strolling around and swimming on the beach. 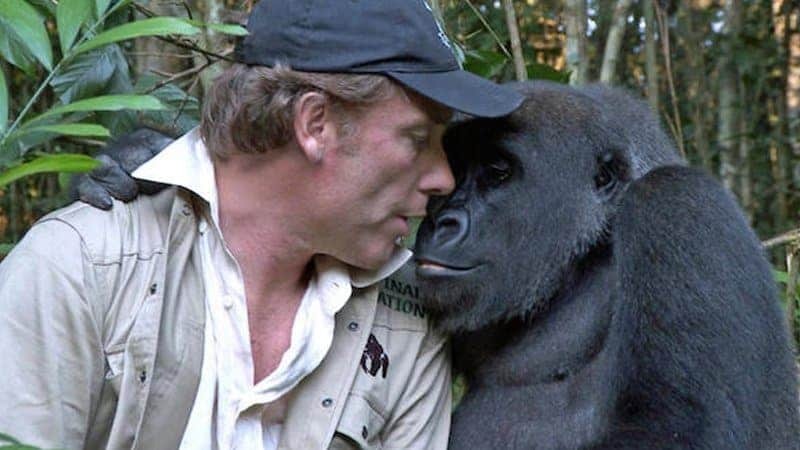 Aspinall Foundation is an organization founded by Damian Aspinall, which is dedicated to breeding and returning apes and other animals back to the wild. One of the animals he reared was Kwibi, a gorilla he had released five years ago. He was born in a zoo in England and eventually released in Gabon. Aspinall was unsure whether the gorilla would still remember him, but he almost instantly did. 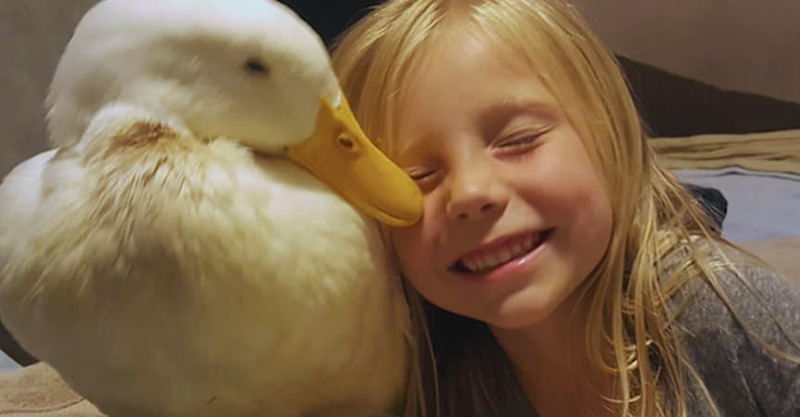 Kylie Brown is a happy 5-year-old who takes her duck, Snowflake, everywhere with her. The duck has imprinted on the girl and is always following her around. The two go to the park together. They do almost everything together: swimming on the beach, going to soccer practice, doing sleepovers, and yes–even trick-or-treating! 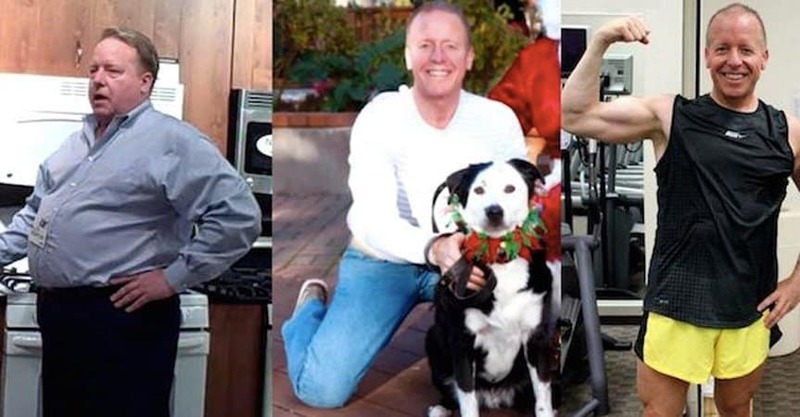 Five years ago, Eric O’Grey was an obese 340-pound man with high blood pressure, high cholesterol and diabetes. His medication bill racks up to US $1,000 a month. His nutritionist advised he should try adopting a dog. Thus, when Eric went to the dog shelter he said he wanted an obese and middle-aged dog, so it would have something common with him. That day he adopted Peety, and eventually with his dog he had improved his health and overall well being. “We formed an inseparable bond; one that I’d never really experienced with any another person, animal, or anybody,” shares Eric. 6-year-old Iris Grace Halmshaw has autism, characterized by irregular sleep patterns, doesn’t make eye contact, obsessive behavior and refusing to play with her family and other children. When Thula the cat came into her life, Iris began to speak. She would say ‘sit, cat’ and Thula would obey. 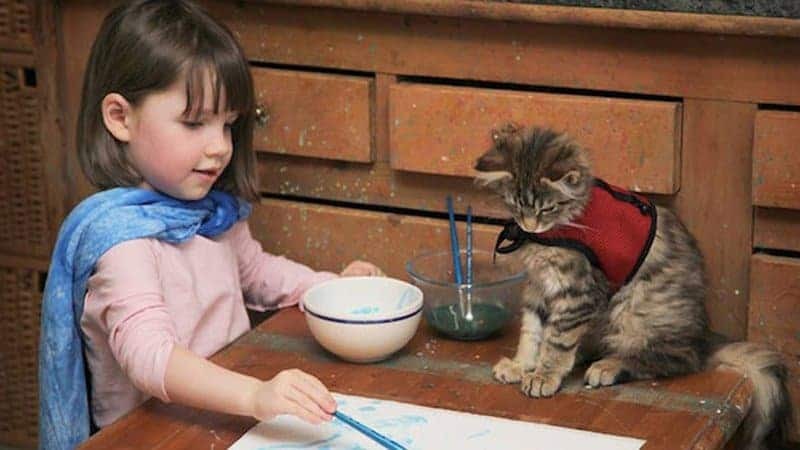 Her speech therapy has improved in leaps and bounds, and Thula even encouraged her to play and paint. Uorn Sambath, a young boy in Cambodia, has an odd companion; a python called Chomreun. Chomreun is a 16 ft. python and weighs 220 pounds. The snake has apparently slithered into the household when the boy was only 3 months old. The Sambath family believe that the snake brings good luck, however, has also put a financial strain in the family as they had to feed him 22 pounds of chicken a week. He has been relinquished to a rescue center but the boy still visits his best friend regularly. 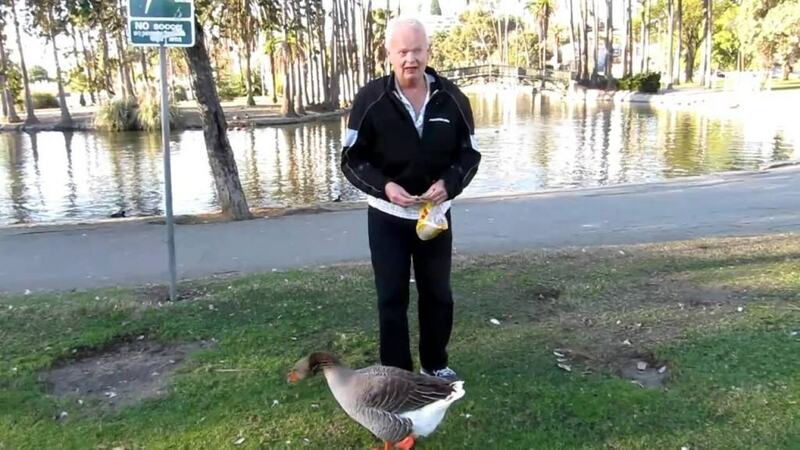 Dominic Ehrler, a retired salesman, befriended a gray goose named Maria in Echo Park. The two are inseparable, taking walks around the park where they first encountered each other. 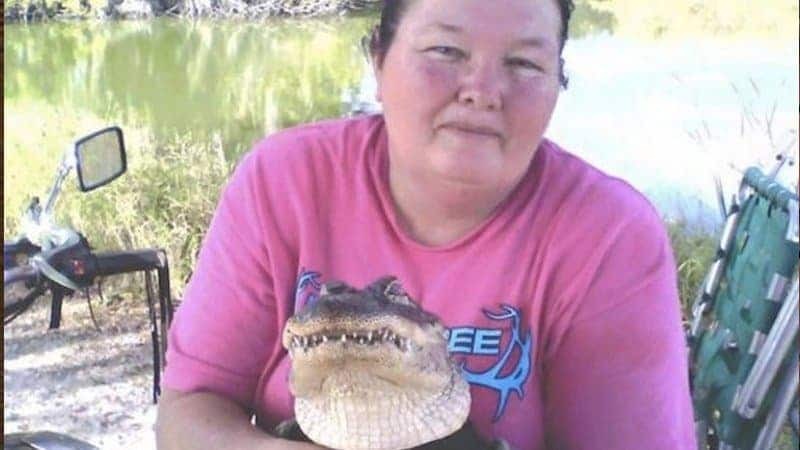 Mary Thorn adopted Rambo some 11 years ago when the alligator was still a baby reptile. Under her care, the alligator has been potty trained, understands sign language and can even ride a quad bike.